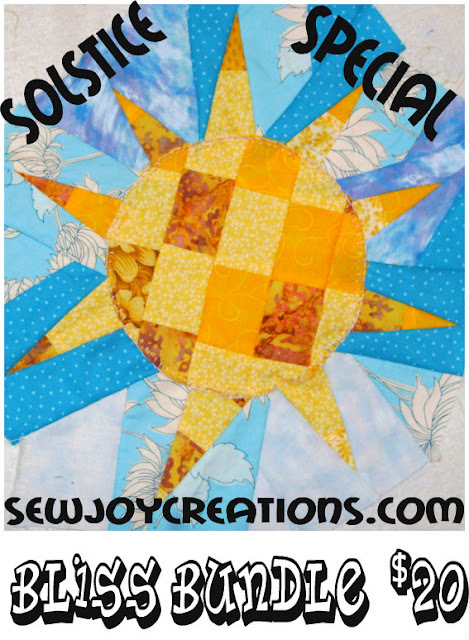 Solstice Special! For 3 days I'm offering all of my current PDF patterns for $20! and my ebook,Color Prompt ebook for Quilters and Fibre Artists. Click here to purchase at my Etsy store.